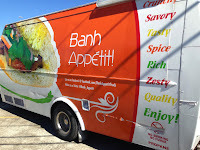 Saturday afternoon I rolled back by the Houston Food Park to try a few more things off the menu of one of the newest trucks in town. 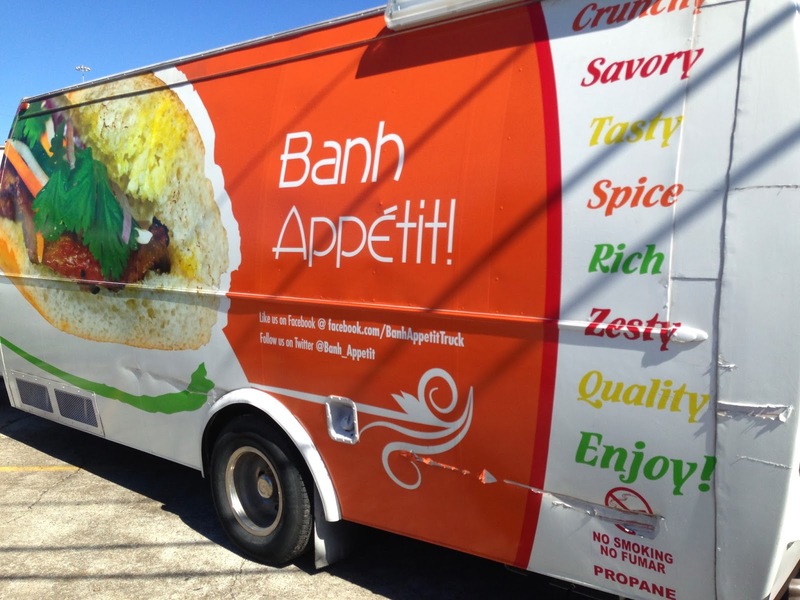 This is one of the trucks to watch here in Houston. These tacos are made with paratha. Paratha is a flaky flat bread from the Indian subcontinent. It could very well be the ultimate taco delivery vehicle. You can get your tacos with your choice of 4 meats; pork belly, chicken, sausage, and beef. I got the ginger teriyaki marinade beef. The beef was tender and bountiful; nicely flavored by the marinade. The menu listed iceberg lettuce, cilantro, pickled carrots, Oaxaca cheese and Serrano peppers; but I also noted some pickled daikon, shaved cucumbers and shredded red cabbage. These guys are great picklers and I welcomed all the pickles on these tacos. I noticed that they grabbed the iceberg lettuce out of the cooler and shredded it just for my taco. I'm not a big fan of iceberg lettuce, but if you're going to use it make it as good as you can and I appreciate the extra mile they went to go get it as fresh as possible. All the vegetables were sliced paper-thin with a mandolin. The was especially nice for the Serrano peppers so you didn't get slammed with their heat. You can have Serrano pepper mayo or cilantro-Serrano ranch. The Serrano pepper mayo is the spicier of the two, both are excellent. I personally preferred the coolness of the ranch in with the fresh vegetables, but that's just my preference. 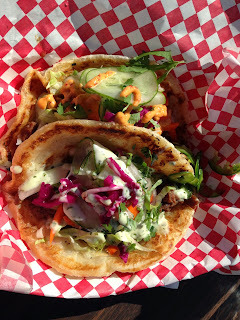 Synopsis: Some the best, fresh, fusion tacos around. The L-vurrito comes with your choices of meats, pork belly, chicken, sausage, and beef. My wife ordered this and choose chicken and the Serrano pepper mayo on the side. I only got to taste a couple of bites, but was impressed. The tortilla is stuffed with mint, bean sprouts, shaved cucumbers, caramelized onions and mushrooms. The wrap is then pressed and grilled torta style. The effect of the ingredients and the crispy outside give the whole thing a giant egg roll or spring roll vibe. 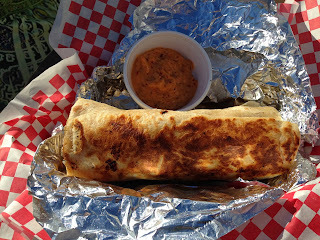 The Serrano pepper mayo gives it a little heat when you want it.Synopsis: Maybe the best Asian fusion burrito in town.